We have cushion covers in wide variety of design and patterns.These Designer handmade cushion cover set is really very beautiful home decor item that can brighten up room.The perfect gift for weddings, housewarmings, engagements and anniversaries.These amazing Cushion Covers set add glamour to the ambiance of the Living room and make home & office look perfect and beautiful. 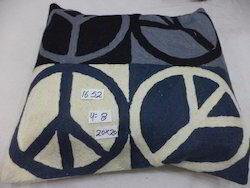 We are manufacturer and whole-saler of hand embroidery cushion-cover Mostly We deal in domestic and gulf and europe, We would love to supply our producsts in national as well international market. The work which is done on the cotton fabric with thread work is totally handmade machine. An elaborate design on the yellow and green cushion covers adds style to your room. Presents suzani ottomans / sette / puffs in hand crafted bohemian embroidered fabric in various colors and patterns. 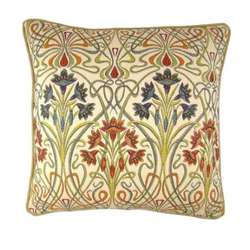 Incredible home textiles furnishing with or without cotton filling. Custom Sizes also available on order.